Advertising agency solution that helps marketing, in-house, digital, and full service agency with media management, collaboration, project scheduling, and management dashboard. 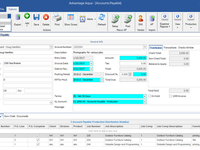 Advantage Aqua Reviews Recently Reviewed! 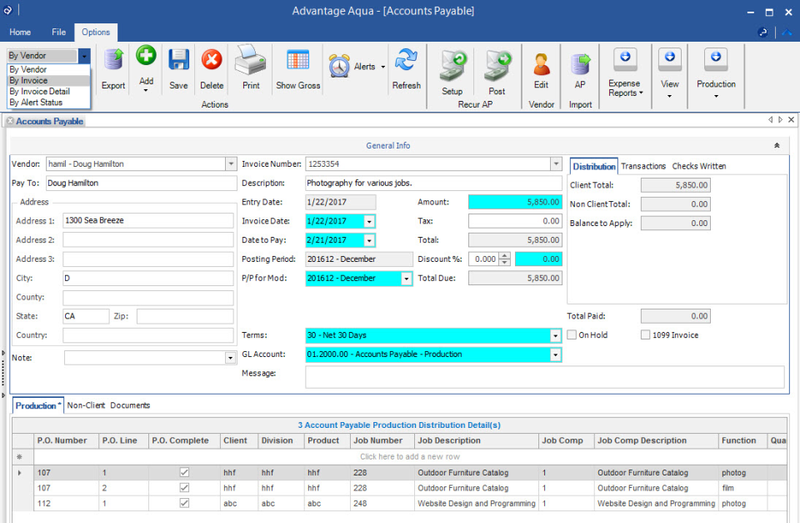 Pros: Advantage has been specifically designed to fit the needs of a PR or Advertising agency. Its flexibility allowed us to adapt the software to support our existing processes. 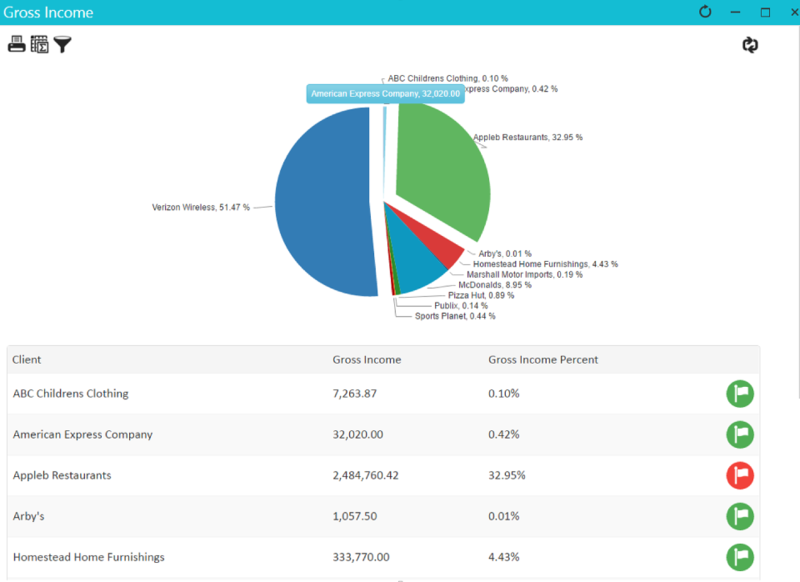 It's made our team more efficient and gives us much more insight into our business data and metrics. Project management capabilities improve communication, budgeting and scheduling across the organization. In a long career, Advantage has the best client support team with which I have ever worked! Calls are answered immediately, problems are addressed and the Advantage folks are a delight to work with. Even better, many of the customer support folks have worked at PR or advertising agencies so they really understand our challenges and can offer "best practices". Lastly, it is a cloud based system so our team can work from anywhere with no need for server access. Cons: This is a complex system and the learning curve is steep. The first couple of months on the system were a real struggle (this is where that outstanding client support really comes in handy!). New users should be prepared that implementation is a big project that requires both dedicated resources and management support. Aqua, the program used by most agency staff, is a good user experience but the accounting system is old code and it looks & works like old code. Some of the menus are not very intuitive and it can take a while to figure out how to use them. Overall: We are extremely happy with Advantage/Aqua! Billing clients used to take our accounting team 2-3 weeks. 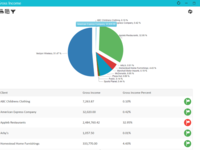 Now we can get invoice drafts done in just a few day with improved accuracy. Even after 5 months on the system, we continue to discover new capabilities and information that help us run the business. Excellent core app for us. Team loves it. Outstanding technical support. Pros: Our entire team on one platform for projects + accounting? And people love it? Is...such a thing even possible? It is - and it is Advantage. Having worked with Quickbooks, Netsuite, Sage, Foundation and all manner of home-grown horrors... Advantage is a wondrous breath of fresh air. I'm the IT Director and have not had a single incident or technical issue with Advantage (beyond your occasional password reset). The times that I have reached out to technical support have been largely for information / usage questions as I learned. They greeted us, recognizing our number, and were enthusiastic, professional, and unbelievably swift to answer any question or to solve any issue. I love that the software is hosted (at least for us). A joy to not have to deal with local servers, network shares, etc. Cons: 1 - long term - having 100% web based Advantage would be neat, but Citrix Receiver works perfectly on our Macs and PCs. 2 - The logins are a little weird (generic strings, rather than a custom username). Users will of course forget those, or write them on a sticky on their monitor (bad). We ended up making a chart of people's user logins and keep it in 1Password. Not a huge deal. 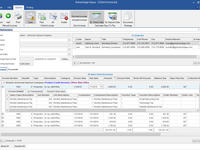 Overall: Project management, accounting, workflow, routing, expenses, time tracking. Pros: Connecting project work history in the job notes with financial tracking, in addition the flow from job opening to estimating along with assigning work separate from "alerting" folks to changes once jobs are in process. Cons: Adjusting time constraints to keep files open, this may be "user error", Pulling producer time reports to break each out on specific jobs is cumbersome. Overall: Greater project production management as well as financial management. It's great. Pros: easy to use - I get a lot of reports. Cons: Using the mouse too much. Overall: I am very pleased working with the customer rep. She is very helpful, eager to help, courteous and answer all my questions. Overall: Great experience with Renee, she was very helpful and very knowledgeable. Her desire to help me was excellent. She is a great asset to your company. Overall: Team is very knowledgeable, eager to help. We were having difficulty with a system export. I received feedback on how to, follow up was received. 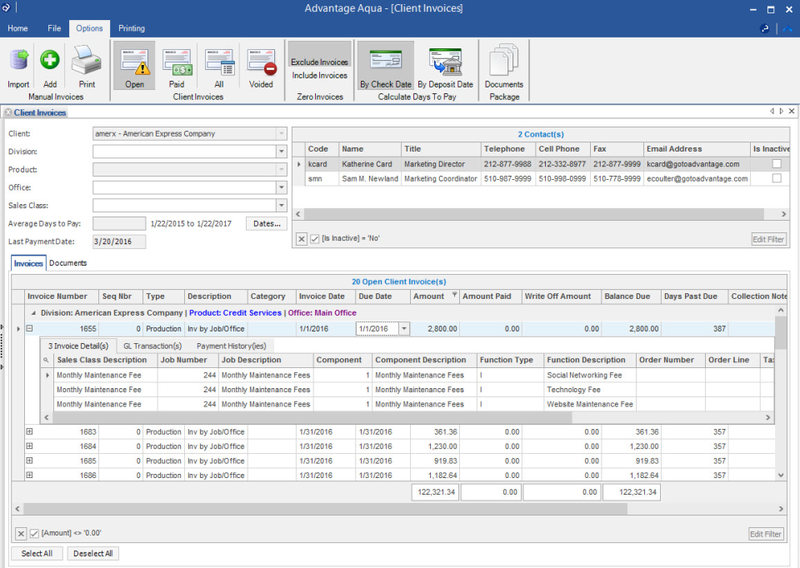 Pros: It has a lot of features and integrates job data into the general ledger. Support staff are always available. Cons: Nothing is intuitive, not flexible or user-friendly. You learn through trial & error the correct way to set things up to get the results you need. Comments: Trude Yaeger helped me quickly and efficiently with a quick solution on an radio order with too many lines to change that needed to be commission only. I changed the client for radio orders only to commission only. I had the buyer copy the old order to a new order and transfer from SmartPlus. It came over seamlessly as a commission only order for billing. The buyer cancelled the previous order and I changed the radio orders back to gross. I was good to go. That is how every customer service call should go. Kudos to Trude for all her problem solving skills. Pros: Very great customer support, and its extremely easy to navigate when creating new projects. We found great tools that other software dont offer. Cons: Very expensive, but worth the longterm investment. Dont be discourged when purchasing. Take advantage of the platform or its being wasted. Pros: Two of the customer support reps. are the best software support!!! There are some features that are good and efficient. Cons: Also, there are some also that is difficult and a lot of steps to to correct the problem. Pros: What I liked the most was its practicality. Advertising events can be handled more easily, as well as being highly efficient software. Cons: What I liked the least was the cost, but when I used it I knew because it is expensive. Worth it. It is really efficient. Overall: I was able to carry out several advertising projects with my work group independently. Best Advertising /Marketing Agency Software on the Market! Comments: Have used Advantage for over 20 years and it continues to impress with its ability to keep up with the changing times! Amazing software! Comments: I emailed in my request for the process to clear our accounts payable report. Received quick response.